Thom Hogan said in one of his blogs that DSLRs are made unnecessarily large, including the small entry level ones. I don't know if he meant the lenses as well. But I believe him - look at how small the Olympus OM1, Olympus XA or Pentax ME Super were, and they were full frame! Of course cameras today do more, but I can also argue that manufacturers have had 30 years to equalize that. I work with the IQ/size ratio. I will put up with a somewhat larger camera if it has superb IQ. Conversely, I will put up with slight inferior IQ if it means a significantly smaller camera. If a camera such as the Nikon D3200 can be made smaller, that ratio will start to appear attractive. 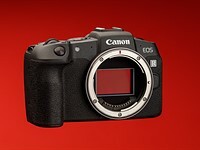 The ultimate for me would be the Canon S100 with a super duper sensor. It will take the IQ/size ratio to infinity!